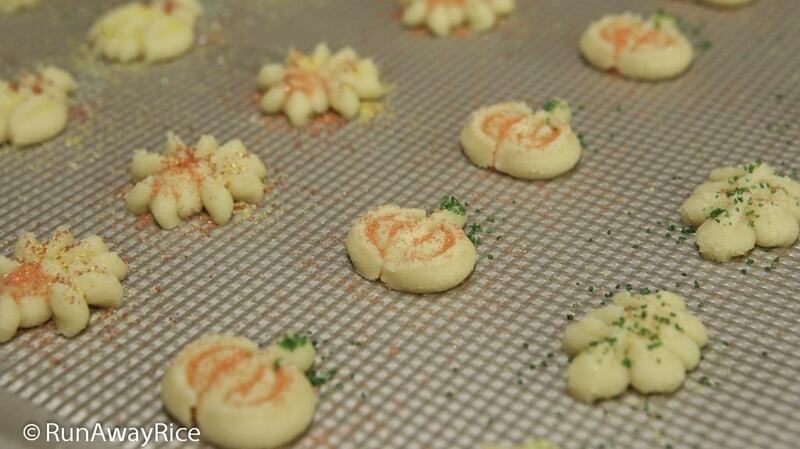 Celebrate the autumn season with this easy recipe for Cream Cheese Spritz Cookies. 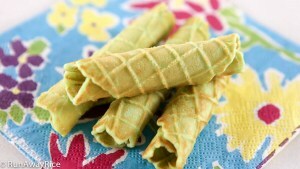 The scrumptious cookies are crispy, buttery and a tantalizing combination of tart and sweet. Not your typical sugary treat, these homemade cookies are elevated to new levels with this yummy spritz cookie recipe and the Oxo cookie press. 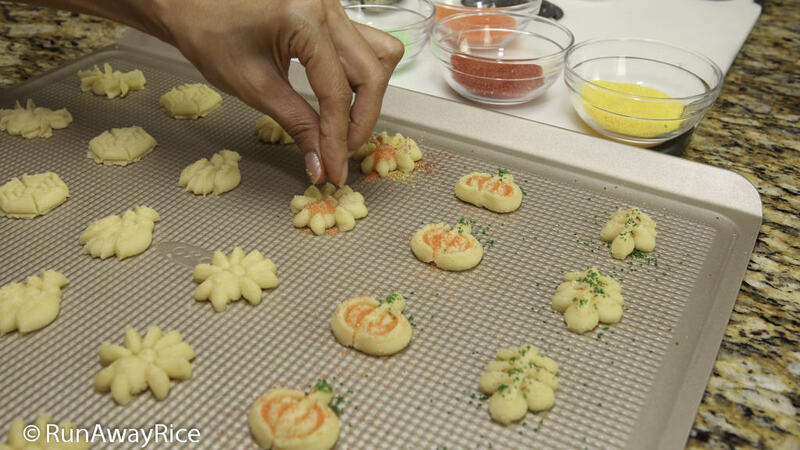 You’ll have so much fun making these amazing decorative cookies, you won’t want to make them any other way. 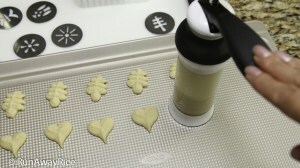 The Oxo cookie press makes perfectly-portioned, uniform cookies in assorted shapes and patterns using interchangeable disks. 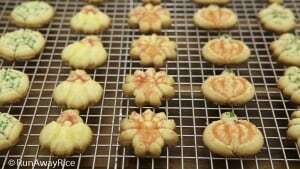 Make dozens of cookies quickly and easily for snack time, birthday parties or upcoming festive occasions. It’s very important for the butter to be cold and the cream cheese to be softened in order to achieve the soft cookie dough texture. 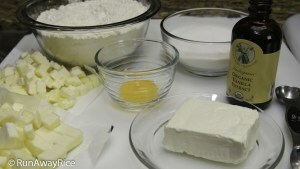 30-45 minutes before starting the recipe, remove the cream cheese from the refrigerator and let rest at room temperature. 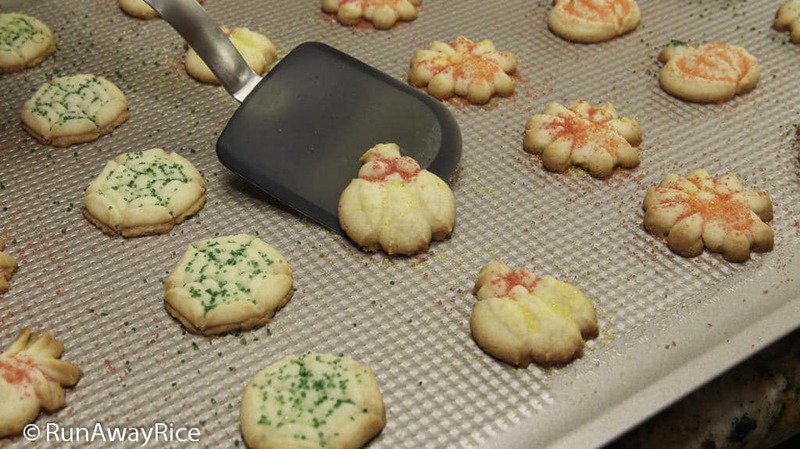 This spritz cookie recipe is intended for use with the Oxo cookie press. Using other cookie recipes, may not work with the cookie press. 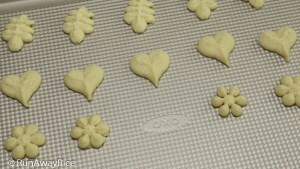 This cookie recipe is adapted from Oxo. 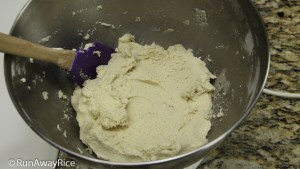 The cookie dough does not need to be refrigerated prior to using in the cookie press. 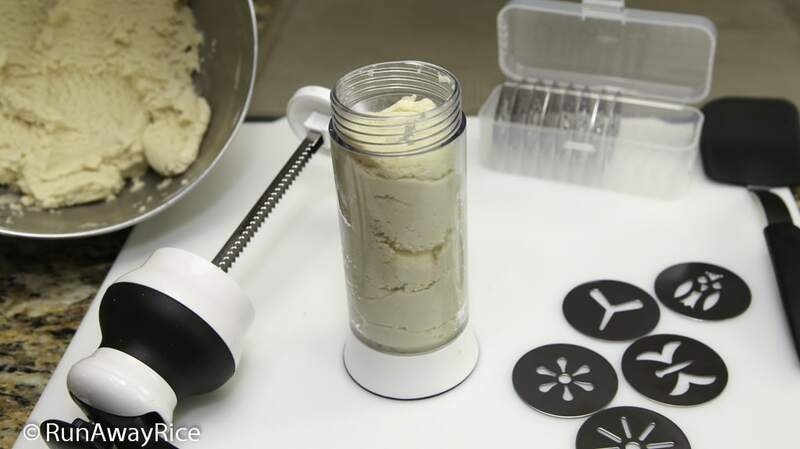 A soft and pliable cookie dough is needed so it can be pressed and cut using the cookie press. 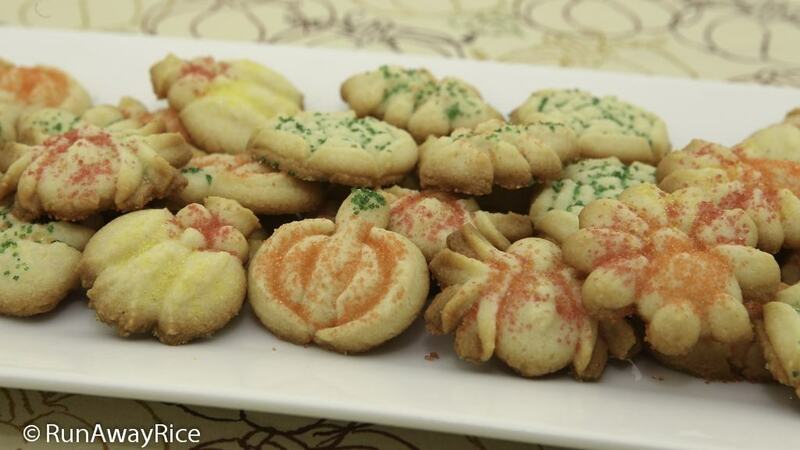 Use the Autumn Disk Set to make these cute Autumn Cream Cheese Spritz cookies. The set comes with six stainless steel disks for the following shapes: Spider, Web, Leaf, Owl, Turkey and Pumpkin. If not using a cookie press, simply drop small spoonfuls of the dough onto an ungreased cookie sheet. Flatten slightly using the back of a spoon. Bake as per the recipe. Store cookies in an airtight container. Enjoy the cookies within the week. 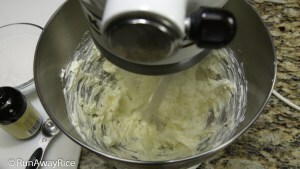 In the mixing bowl of a stand mixer, add the cubed butter and softened cream cheese. 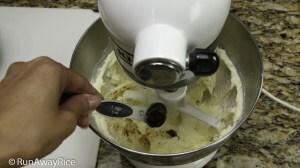 Using a paddle attachment, mix on Low speed until well-combined, approximately 1 minute. 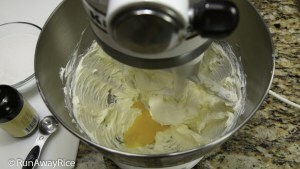 While mixing on Medium speed, add the egg yolk. Gradually add the sugar and mix until light and fluffy, approximately 2 minutes. 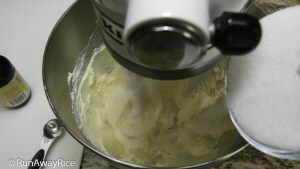 Gradually add the sifted flour while mixing on Low speed. Scrape around the bowl and mix until well incorporated, approximately 2-3 minutes. 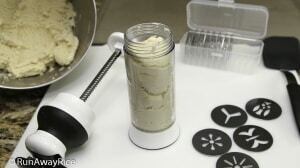 Place dough in the cookie press with the desired disk. 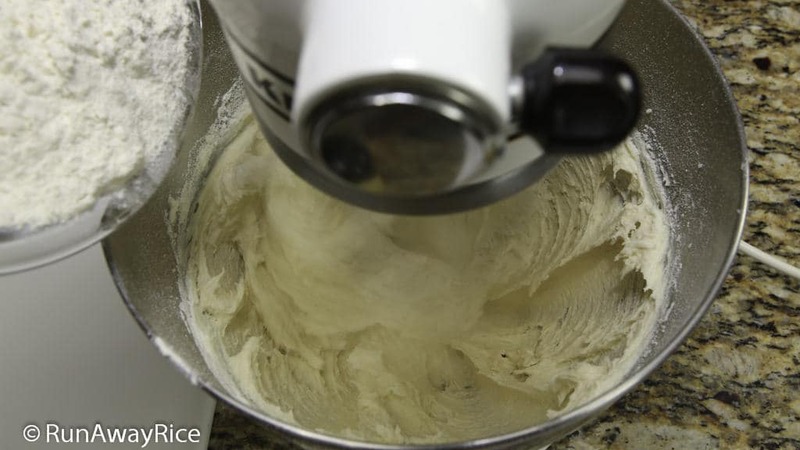 Press dough onto an ungreased baking sheet. Sprinkle cookies with assorted colored sugar. 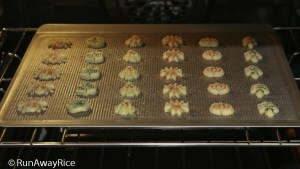 Bake for 10-12 minutes or until the edges are golden brown. Rotate the baking sheet halfway through the baking time so the cookies brown evenly. 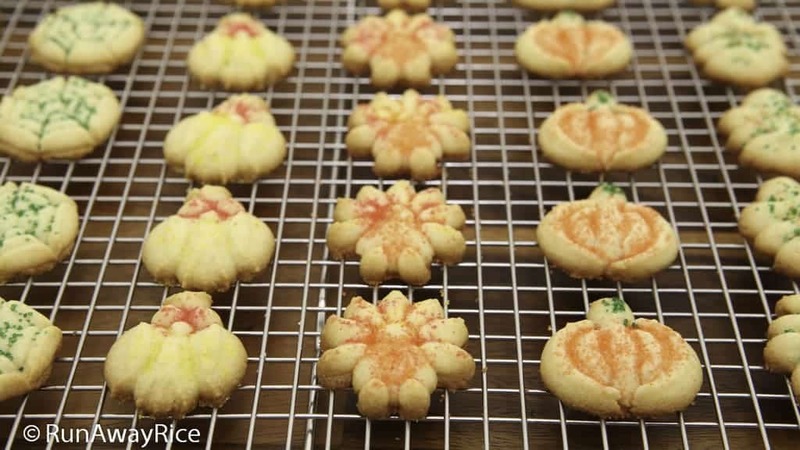 Celebrate the fall season with this easy recipe for Autumn Cream Cheese Spritz Cookies. 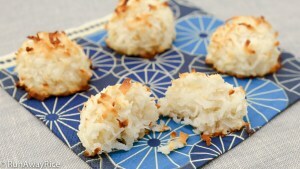 The scrumptious cookies are crispy, buttery and a tantalizing combination of tart and sweet. Not your typical sugary treat, these homemade cookies are elevated to new levels with this yummy spritz cookie recipe and the Oxo cookie press. 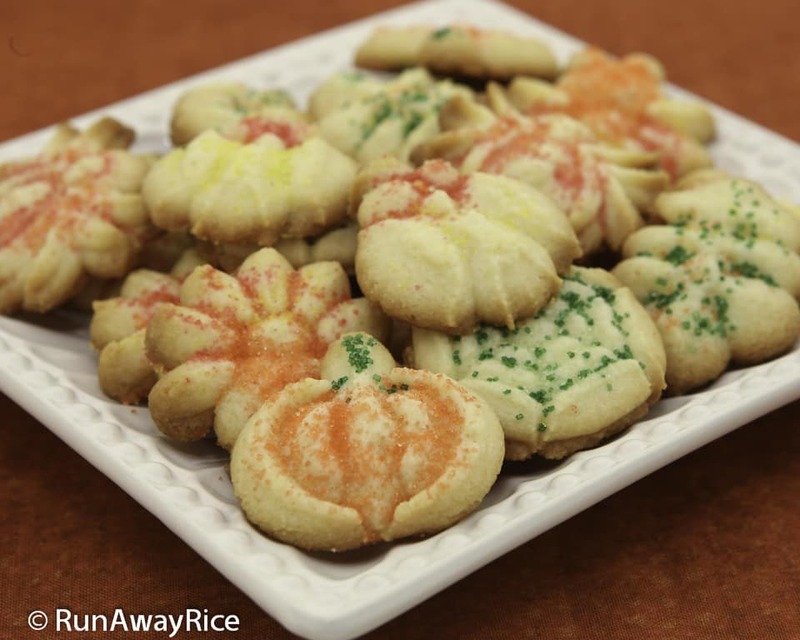 You'll have so much fun making these amazing decorative cookies, you won't want to make them any other way. 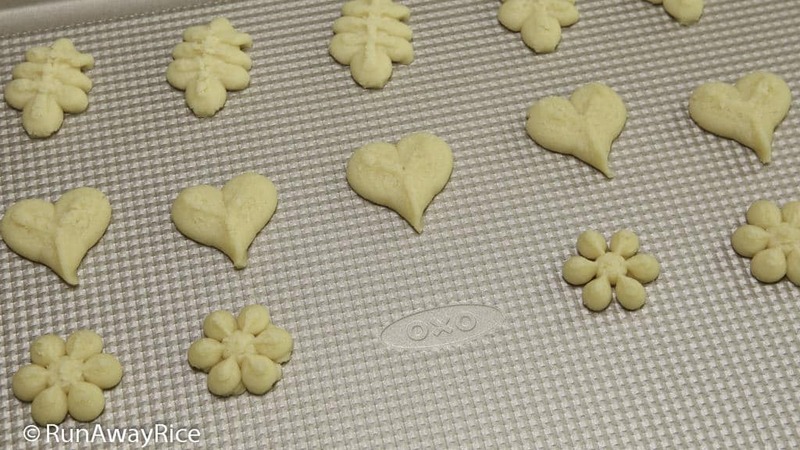 The Oxo cookie press makes perfectly-portioned, uniform cookies in assorted shapes and patterns using interchangeable disks. 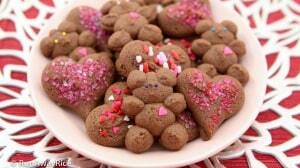 Make dozens of cookies quickly and easily for snack time, birthday parties or upcoming festive occasions. 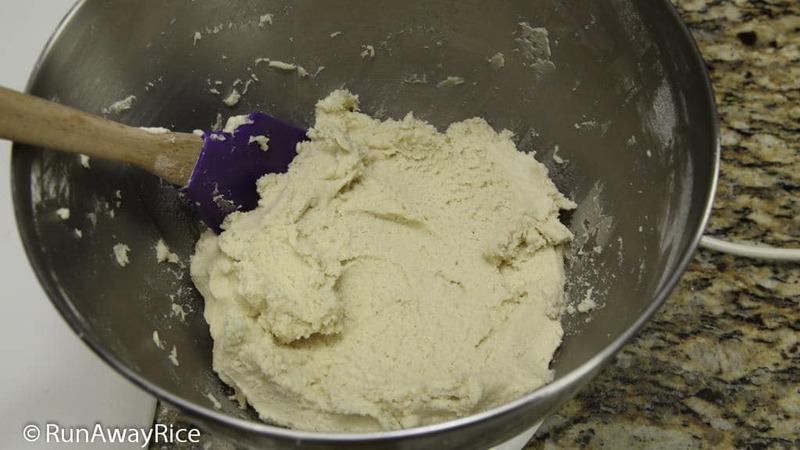 It's very important for the butter to be cold and the cream cheese to be softened in order to achieve the soft cookie dough texture. 30-45 minutes before starting the recipe, remove the cream cheese from the refrigerator and let rest at room temperature. 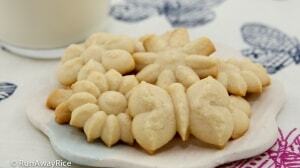 This spritz cookie recipe is intended for use with the Oxo cookie press. 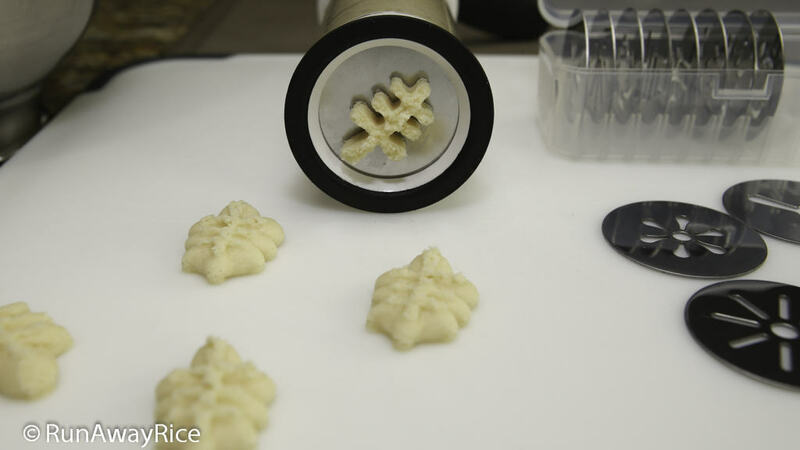 Using other cookie recipes, may not work with the cookie press. I love this recipe. The cookies came out so crispy and yummy. I love the addition of the cream cheese. Will be making another batch soon. Thanks for the recipe!